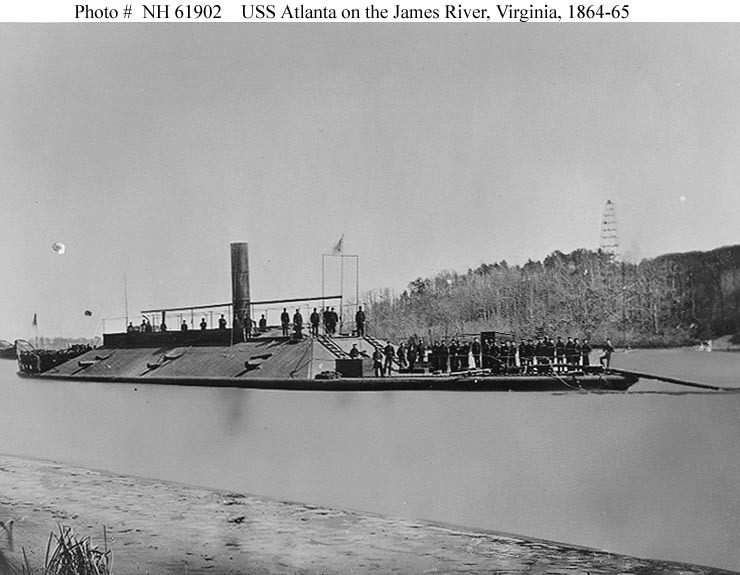 CSS Atlanta, an 1006-ton ironclad ram, was originally built in Scotland in 1861 as the merchant steamship Fingal. In November 1861 she ran the blockade into Savannah, Georgia, with a large cargo of weapons and military supplies. 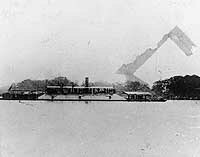 After Union forces closed the exits from Savannah, preventing her further use as a blockade runner, Fingal was converted to an casemate ironclad and renamed Atlanta. She made her first appearance as a Confederate warship in mid-1862. 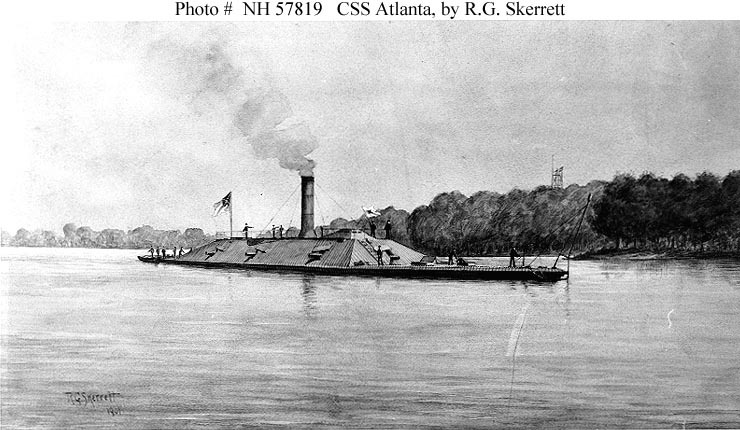 This page features all our views of Atlanta, showing her as both a Confederate and a U.S. Navy ship. Sepia wash drawing by R.G. Skerrett, 1901. 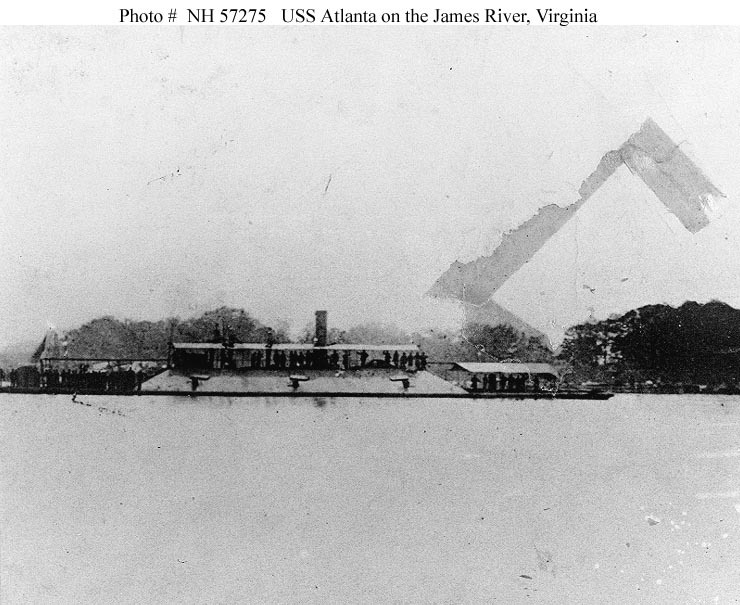 "U.S. Monitor 'Weehawken' and Confederate Ram 'Atlanta'." 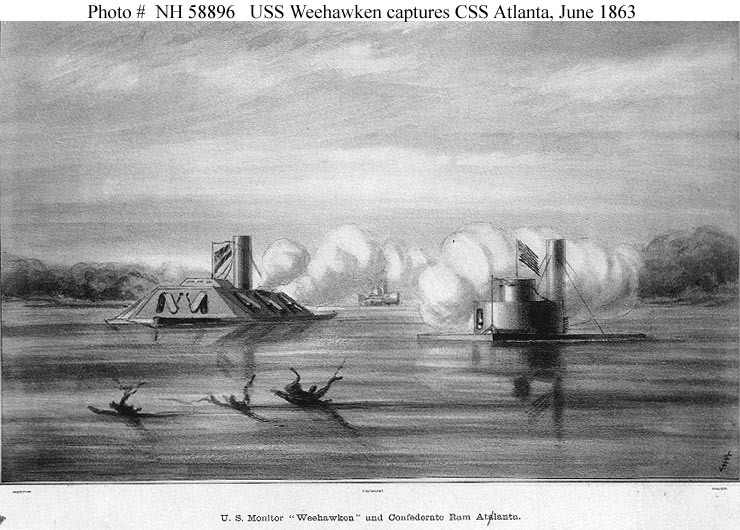 This print depicts the capture of CSS Atlanta (at left) by USS Weehawken, in Wassaw Sound, Georgia, 17 June 1863. 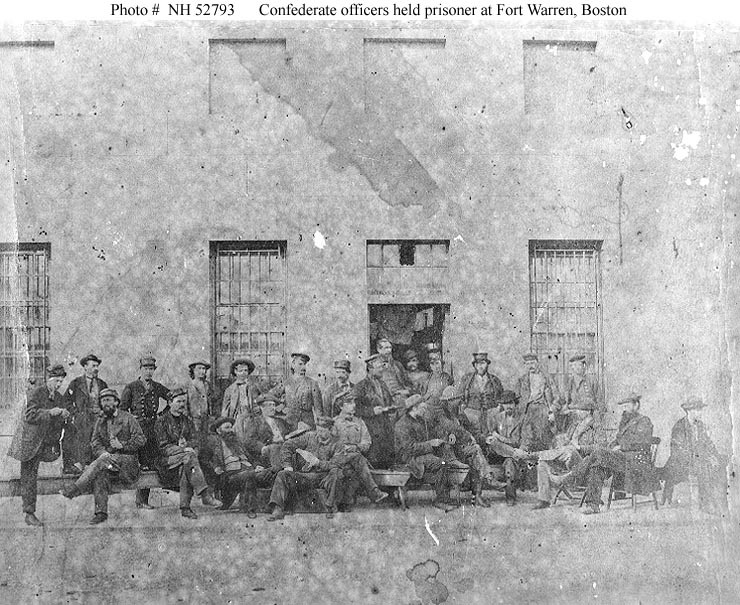 Photographed at Fort Warren, Boston Harbor, Massachusetts, while they were prisoners of war, circa 1863-1864. 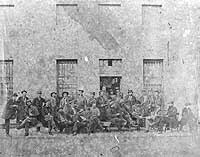 All, or nearly all, of the Navy officers had been captured with CSS Atlanta and CSS Tacony in June 1863, were paroled in September 1864 and exchanged in October 1864. Those present are identified in Photo # NH 52793 (complete caption). 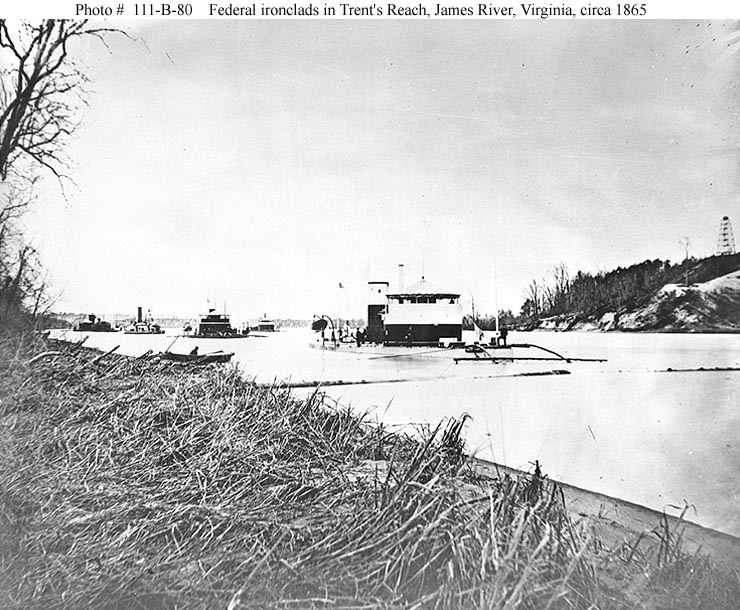 On the James River, Virginia, circa 1864-65. She was the former Confederate ironclad Atlanta, captured in June 1863. Note signal tower on the hill beyond the ship's bow. 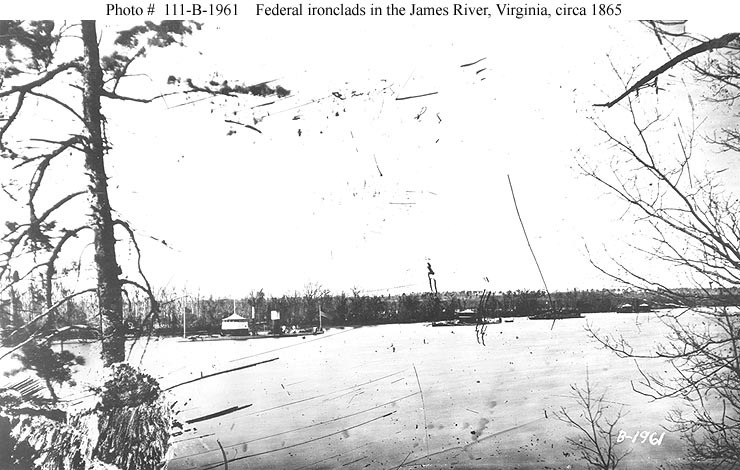 Photographed on the James River, Virginia, circa 1864-65. 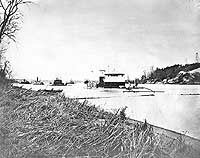 Photographed circa early 1865, probably in Trent's Reach. Ships are (from left to right): USS Saugus, USS Sangamon (probably), USS Atlanta and USS Onondaga. 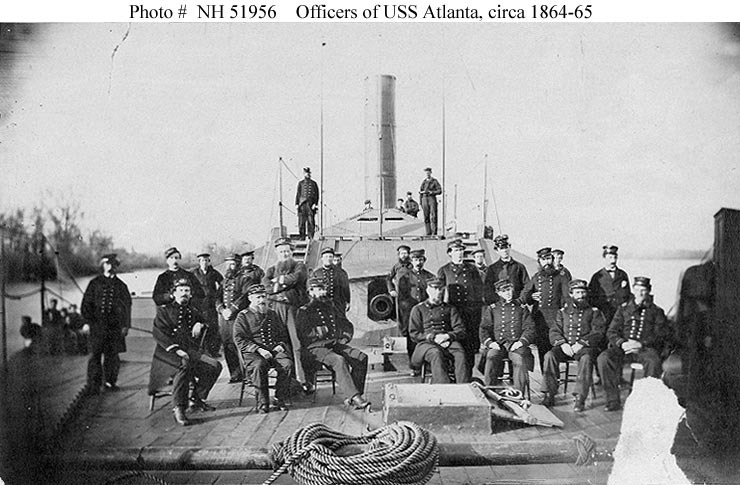 Ship's officers on the foredeck, while she was serving on the James River, Virginia, in 1864-65. Atlanta's armored casemate, forward rifled gun, and pilothouse are visible behind the officers. 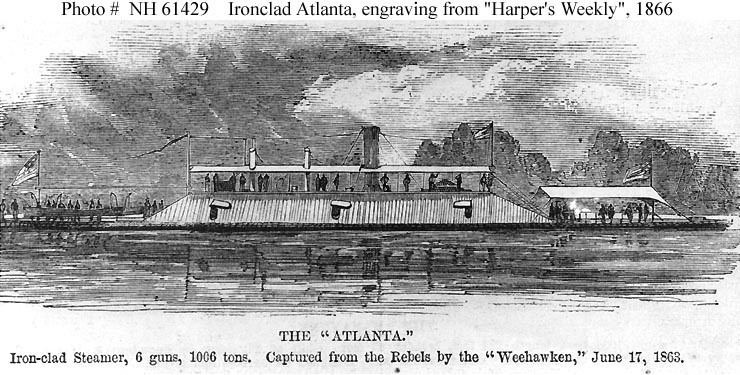 Line engraving published in "Harper's Weekly", 1866, depicting the former Confederate ironclad Atlanta, which was taken into U.S. Navy service following her capture in 1863. 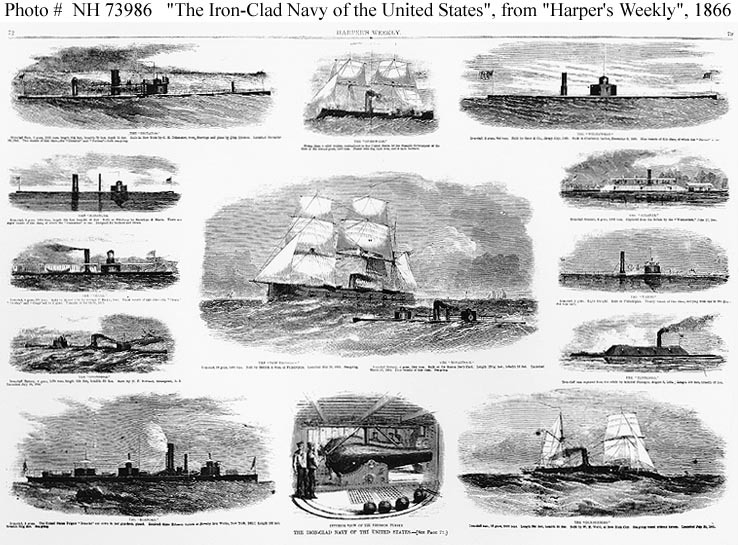 "The Iron-clad Navy of the United States"
Two-page spread of line engravings, published in "Harper's Weekly", 3 February 1866. (at right, top to bottom): Weehawken, Atlanta (ex CSS Atlanta), Yazoo, Tennessee (ex CSS Tennessee), and Dunderberg. General plan, apparently drawn at the Philadelphia Navy Yard, Pennsylvania, where Atlanta was laid up following the Civil War. The original is plan # 81-12-20 in Record Group 19 at the U.S. National Archives.